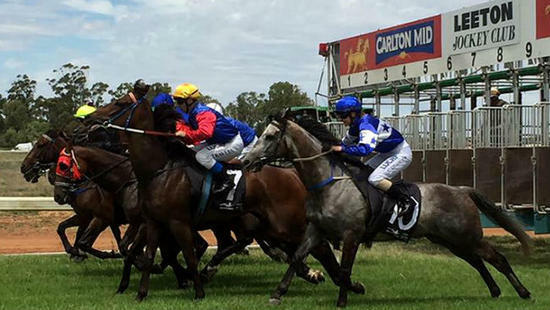 The team at Craig Widdison Racing will supply two runners to Leeton on Monday, October 9 with seven events to be run, the track is currently rated a good (3). The first of the Widdison stable runners will enter in race two in the Guildfords General transport BM 57 handicap over 1050m with a bunch of BM57's eyeing the prize with Steve's Choice to be ridden by Nick Souquet, jumping from barrier (7). Steve's Choice is a six-year-old mare having raced two weeks ago at Jerilderie, in a BM55 handicap finishing second of 10/1000m arriving 0.54 behind Sarona Downs. Will probably race forward here, and drops a kg off her last start, needs a good surface to be at her best and rates an each way contender. Race six on the card will see the Lillypilly Wines-Lillypilly Cup over 1150 m with $20,000 there for the taking with As Bad As Tyson saddling up for the team jumping from barrier (5). As Bad As Tyson is a consistent five-year-old gelding who was last seen finishing third of 12/1170 m seven weeks ago at Echuca in a BM 78 Hcp, when beaten by Foreign Affair on that occasion under Linda Meech. Craig has given the five year old gelding a let up from that last outing, having won or placed five of his last 7, 3 out of four have come via a dry surface. As Bad As Tyson will likely race on the speed and looks primed to run a bottler here. Best of luck to all connected on Monday at Leeton. Leeton Racecourse Reserve is the home of the Leeton Jockey Club who conduct TAB and picnic events during the racing season. The reserve has extensive grassed areas amenities and is utilised for various community events throughout the year including model aircraft flying. As the heart of the New South Wales Riverina, Leeton is home to the Australian rice industry and is our country’s largest citrus-growing region. The Leeton Racecourse has a track circumference of 1600 metres and a home straight 380 metres long. The track is known for its tight turns. Inside barriers are an advantage. Nearby Racetracks include Narrandera Racecourse, Wagga Racecourse and Cowra Racecourse.